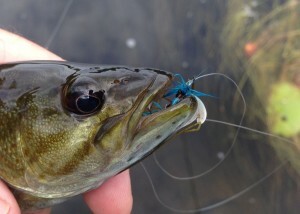 This past week I fished my Fan Wing Damsel on a small New Hampshire River during low-water conditions and had a great time with wee smallies. 9′ 4X tippet, sz. 10 FWD’s and my cane 5 weight made for a memorable outing. Oh… and I still have some love for chub too! A blue Royal Wulff would work great out here. 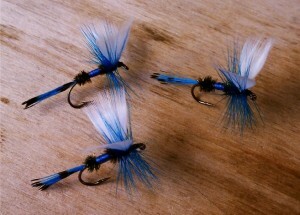 People love a fly they call a purple haze: a parachute adams with purple dubbing. Haven't tied or fished one. Trout like an Adams, etc, plenty well enough. 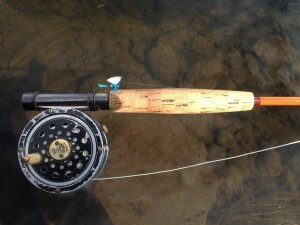 Yesterday I csught an 18+" cutt on a small olive mayfly imitation with 5X tippet on a 4-weight Mike Clark cane rod. Might be my last fish of this year. Those are very very nice. Great idea. Very nicely tied & obviously the most important judges agree with everyone as they seem to go for then as well.